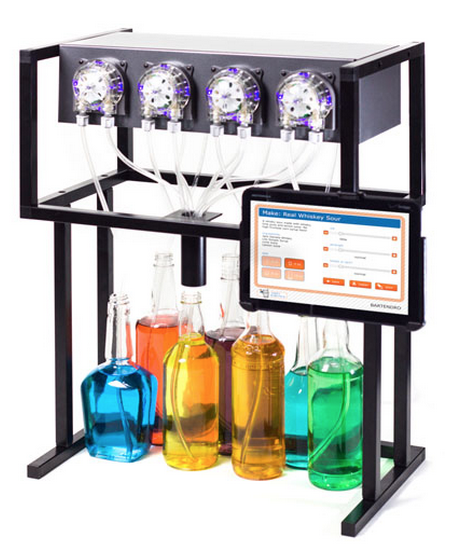 Robert Kaye and Pierre Michael of Party Robotics in San Luis Obispo, California have developed Bartendro, a modular and open source cocktail dispensing robot. They recently launched a fundraising campaign on Kickstarter where you can pre-order one of these boozy bots. Bartendro just appeared at BarBot 2013.